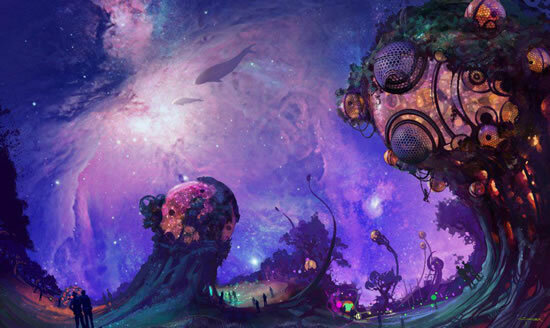 The Lucidity Festival is an art and music celebration that embraces conscious awareness and empowerment. It will take place East of Santa Barbara the weekend of April 13th 2012. The term “Lucidity” is used loosely to refer to being consciously aware and co-creating a dream-like event. The festival is open-source, as participants are encouraged to contribute in their own unique way. That may involve dressing up and acting as a dream character, or setting up an area that has art, performance, workshops, or music. 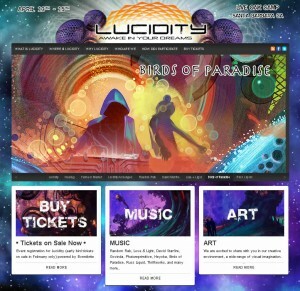 If you would like to attend the Lucidity Festival, contact me for a discount code. I can get you at least $5 off the ticket price. Also let me know if you are interested in meeting up at the event and sharing lucid dream experiences and knowledge. I am very excited about this festival not only because of all the great art, music, workshops and creative dreamers, but also because I will be putting on 2 lucid dream workshops that include sharing the 7 things you need to know to have a lucid dream, as well as a technique that people can take home with them and try out.